White Space Beijing will be putting on its first exhibition of artist Tan Tian and his “Jump to Second Solo Show” on March 7th, 2015. Tan Tian will be exhibiting two years’ worth of his work with behavior, including paintings, sculptures, and installations. The increasingly institutionalization and commercialization of the art world forces current artists to strike a balance between self-expression and any desires for wealth. The experience of working in galleries subverted artist Tan Tian’s early experiences and compelled him to make adjustments to his own temperament with regards to his generational gap. “How I Become a Contemporary Artist” is Tan Tian’s ongoing behavioral project. In this long-term project, Tan Tian empties out his own habits and instead adopts the behavior of contemporary artists in mind and body. Using a database he himself constructed of the creative elements of well-known contemporary artists, he manufactures replicas of their works. From these contemporary artists, he learns how to promote himself, improve his technical skills, and learn how to give great interviews to various media. Tan Tian discovered in the midst of his research that for most famous contemporary artists, putting on their first solo exhibition was a terrible experience. Thus, it is not hard to understand Tan’s exhibition title, as he hopes to skip this normally intimidating first step and jump right into the work of hosting his second exhibition. The present exhibition will be divided into two parts so as to systematically reflect the phases of Tan’s behavioral work. 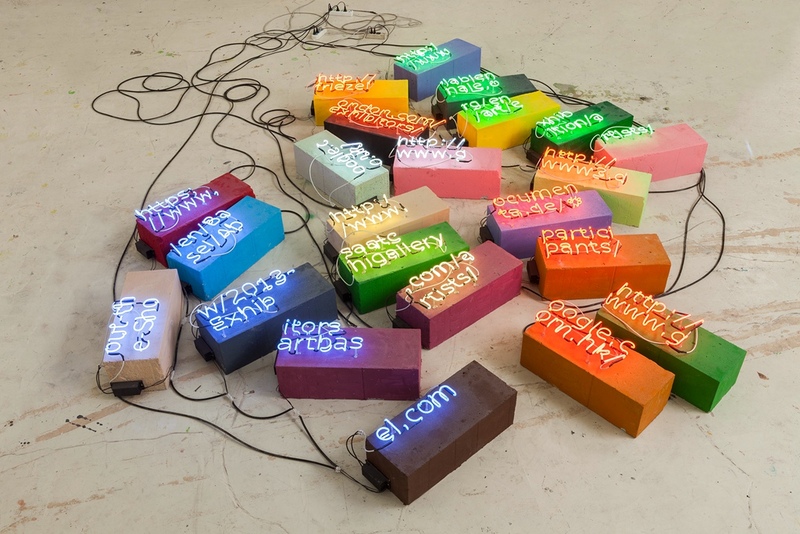 Neon signs make up the seven websites Tan Tian created with information on the well known contemporary artists, together which compose a database and keyword index of each artist’s painting style, videos, their tools, and salary, and through which the audience can appreciate contemporary art and gain an authentic identity. For Tan, only through this kind of conscious assimilation can one truly erase any kinds of idealism that one holds in their heart towards contemporary artist. Furthermore, he holds that the pain and struggle of this transformative process is a kind of refraction of the confrontation of young people with their present. Tan Tian was born in 1988 in Beijing, China. He graduated from Kingston University, UK in 2012. He currently lives and works in Beijing. 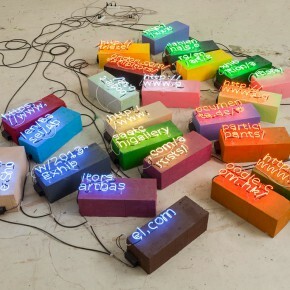 His recent exhibitions include “CAFAM Future” Exhibition at the Central Academy of Fine Arts in Beijing. Courtesy of the artist and White Space Beijing, for further information please visit www.whitespace-beijing.com. Shanghai Duolun Museum of Modern Art announces "Bloom: Chen Xiaodan Solo Exhibition"